Practice Ignition comes with extensive filtering options that allow you to use (almost) any data point stored in PI to find and group your proposals to perform further analysis or action on. Some data will need to be manually added, and this is where tagging your proposals with relevant keywords will be extremely useful. 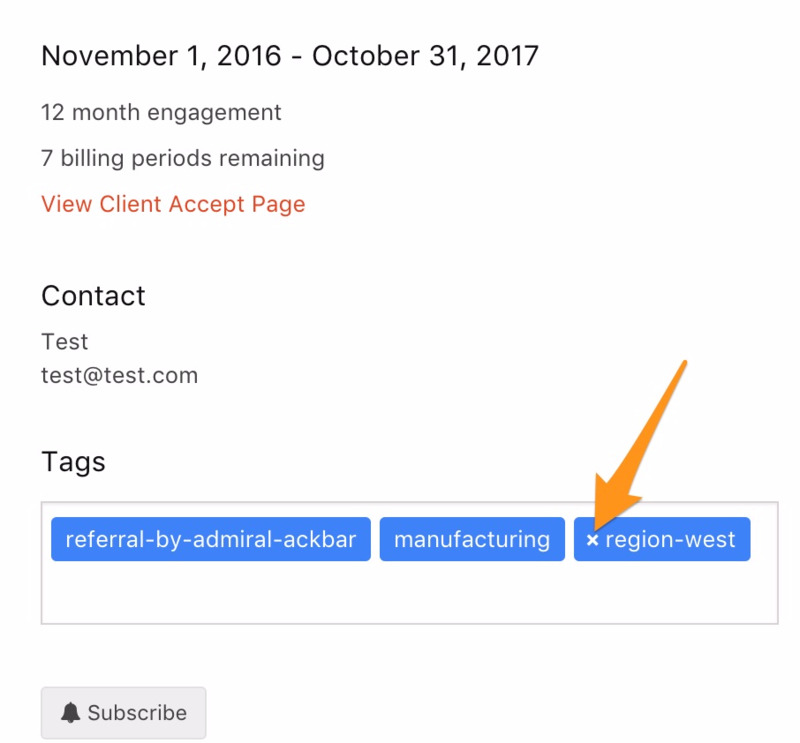 Tagging proposals with their referral source will allow you to quickly find and report on all proposals that have come about as a result of a referral. Tag your proposals with referral-by-john-smith and you’ll be able to quickly see how much revenue is generated through John’s advocacy. Let John know that if he can send five new clients your way, you’ll write off his next invoice. Adding this simple tag will allow you to keep tabs on the progress. Including an industry tag will allow you to e.g. find out how much revenue your clients in the manufacturing industry are bringing in, how many and who they are. Use this data to create targeted marketing campaigns, benchmark clients, or find growth opportunities among clients in the same industry. If your clients are spread around a larger geographical area, we recommend tagging your proposals with location keywords. Let’s say you’re planning to visit one of your clients who are based a few hours’ drive away. Location tagging will help you easily find other clients based in the area and book a meeting with them to get the most out of your time on the road. Should you need to remove any applied tags, simply hover over one and an X will appear for you to click. Click here for our how-to guide on tagging, and how to filter proposals.